It may seem obvious but we are committed to offering care with compassion rather than simply performing tasks out of a sense of duty. 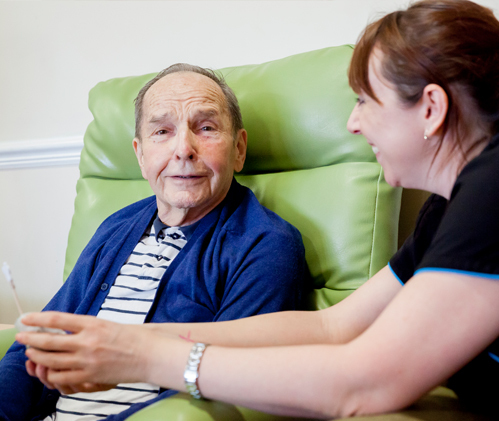 We want our residents to feel safe, respected, comfortable and to maintain their sense of dignity. When going about our daily duties a good mindset to have is “Would I feel comfortable receiving care in this way? How would I want my mum/dad/gran treated in this situation”. Within each home and beyond, we care for each other, offering support, tolerance and warmth. 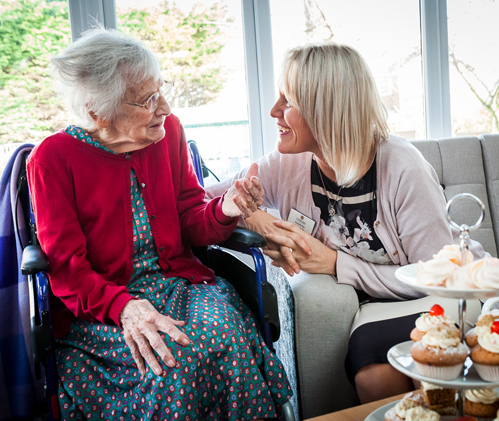 We embrace each individual to become part of our family, whether that is a resident, their wider family members, colleagues or a link to our local community. Like a family, we try to make sure that everyone feels included in away that they feel reassured and comfortable. We believe in doing the right thing, even though sometimes it’s not the easiest option. We are not afraid to be open but always in a compassionate way. 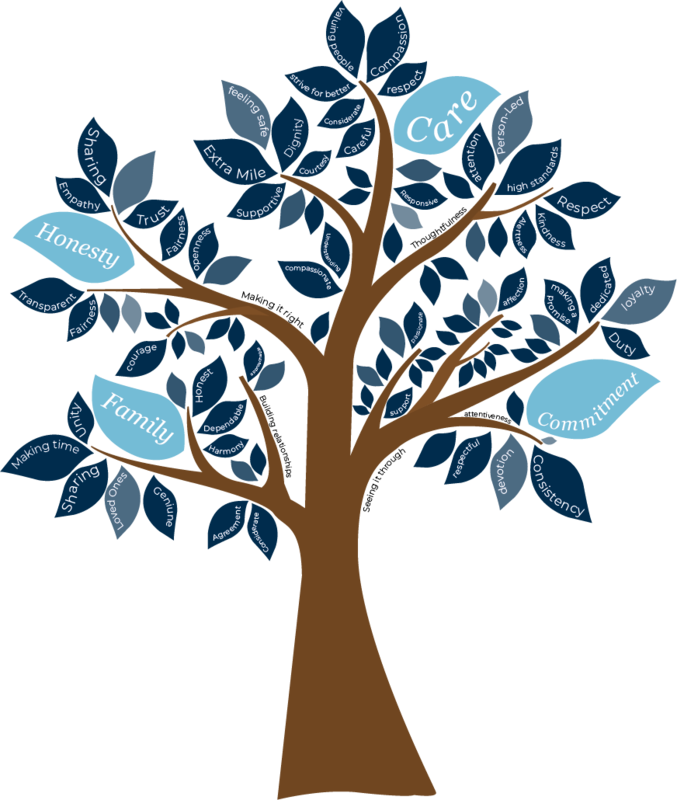 To uphold this value we will always encourage open dialogue, sharing stories and anecdotes to empower everyone in our family, (staff, residents and their loved ones) to communicate with courage and honesty. We are committed and passionate in our daily interactions. We take pride in being able to go above and beyond ‘ordinary’ for each member of our family. 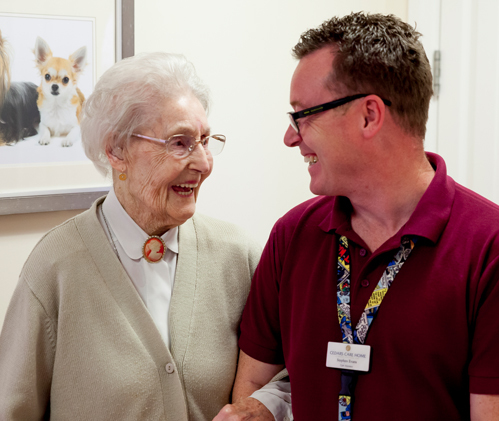 We are dedicated to delivering exceptional care for each individual and supporting their family and friends. We are committed to offering a safe, reassuring environment. We always make the extra effort and do our best.